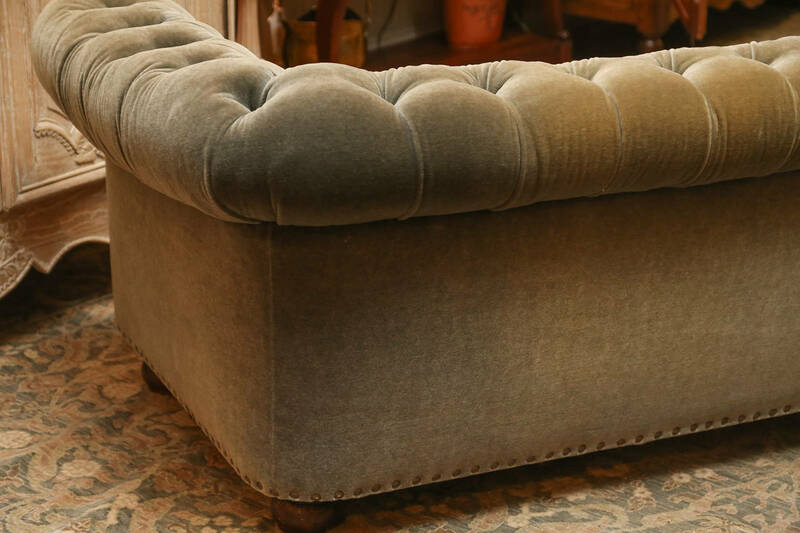 Chesterfield reupholstered in George Cameron Nash Grey Mohair. 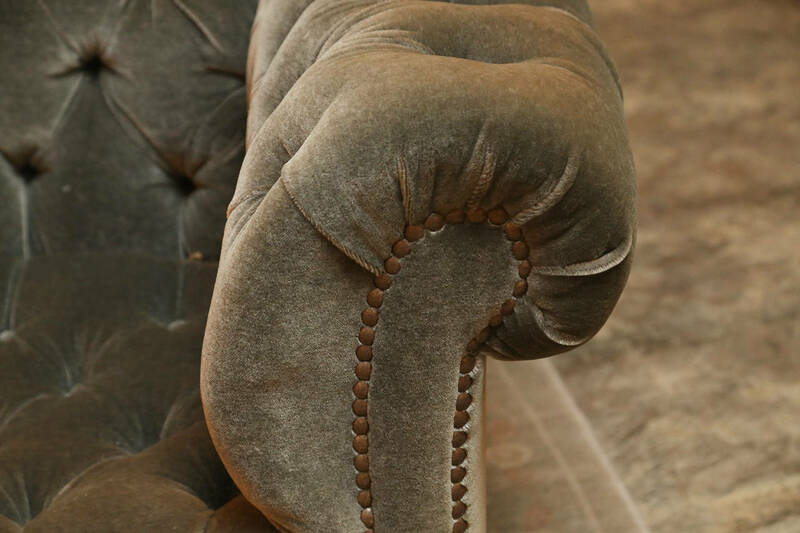 Details are quite unusual and elegant. Extremely comfortable. 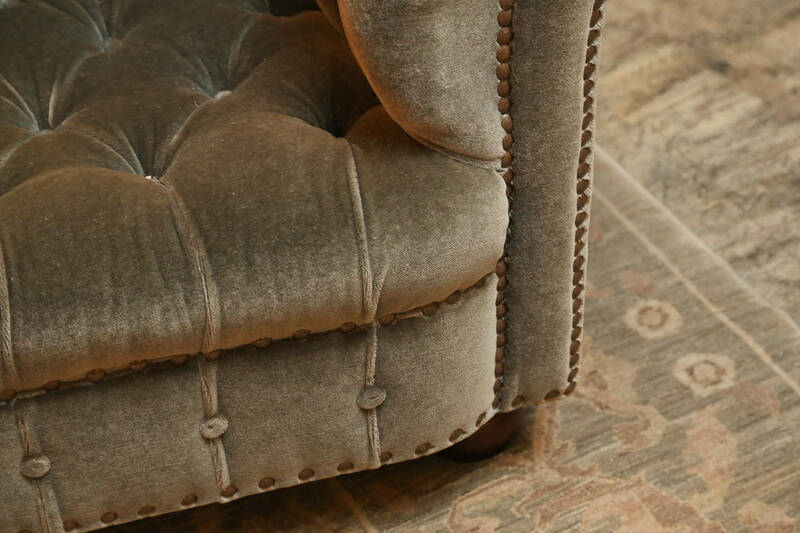 Taupe mohair sofa has two loose poly-dac/down seat and two loose down-filled back cushions and a dressmaker skirt, Very much in the style of Rose Tarlow. Measures: 20" st. height. 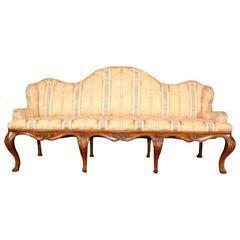 Classic 19th century French Directoire bergère features an arched back. 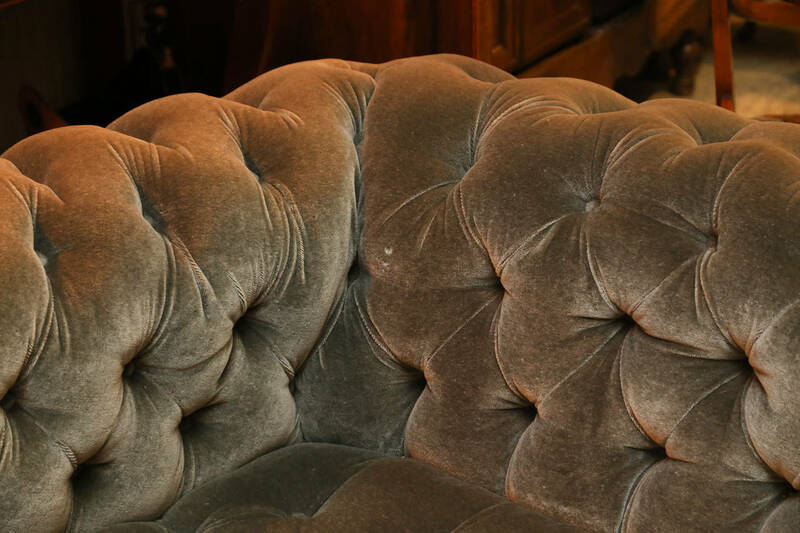 Features carved tapered legs in front. Splayed back legs. 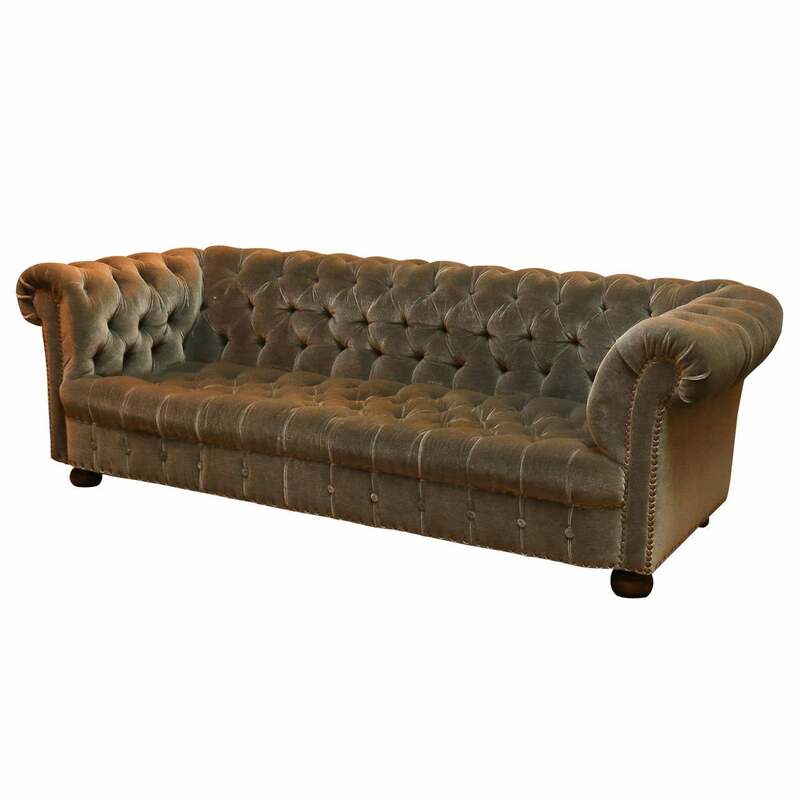 It is all about the crescent moon shape of this chesterfield, great patina on the red leather as well. 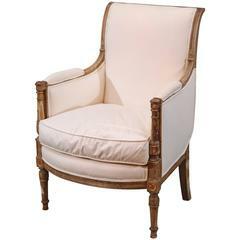 19th century English Regency recamier. Gold leaf decorative details. Brass lion foot on casters. 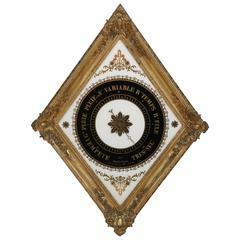 Ebonized frame. Cushion/roll.